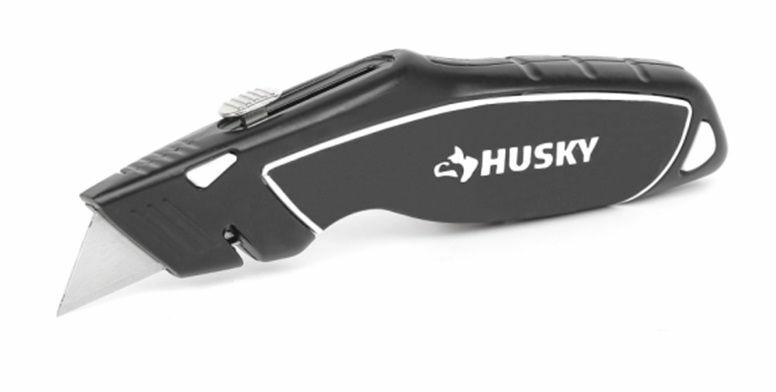 The Husky Quick-Release Retractable Utility Knife features a durable aluminum cast frame. This knife is designed with convenient pop-up storage in the handle. The quick-release blade design provides a quick and easy way to change blades without tools. The knife also features an integrated string cutter. The DX340 features a patented Double-Lock safety switch mechanism which works in conjunction with the primary Liner-Lock to prevent disengagement when the knife is open, even if the Liner Lock is inadvertently dis-engaged. An aluminum handle adds incredible strength and durability. Thumb studs on both sides of the blade make opening the blade easy; right or left handed. From design to machining to quality control, Empires robust line of specialty tools is crafted with the final application in mind. Backed by the combined knowledge of our experienced team, this means professionals can rely on these Empire tools to get the job done with less effort. The Empire 2749 Precision Specialty Glass Cutter is the ideal tool for the hobbyist, machinist and homeowner. The die cast body includes a circular steel cutting wheel designed to cut most household glass up to 1/4 in. thick. This Fixman 42pc Household Tool Kit is made to get the job done. Designed with quality metal and durable plastic. Includes: tape measure, scissors, hammer, utility knife, fastener pack, screwdriver with 20 bits, precision screwdriver set, bit extender, slip-joint pliers and hex key set. All stored in a convenient carrying case. Designed to easily cut through soft to medium-hard metals up to 3/8-inch thick, these quality 24-inch bolt cutters will prove invaluable at home or on the job site. Adjustable screws allow for quick and easy alignment of the centre-cutting jaws and the compound cutting action provides extra cutting power, while helping to reduce muscle strain. Non-slip rubber grips on tubular handles ensures a firm, comfortable grip. Quick-Releaseret Ractable Utility Knife The Husky Quick-Release Retractable Utility Knife features a durable aluminum cast frame. This knife is designed with convenient pop-up storage in the handle. The quick-release blade design provides a quick and easy way to change blades without tools. The knife also features an integrated string cutter. Quick-Releaseret Ractable Utility Knife is rated 1.0 out of 5 by 1. Rated 1 out of 5 by Riot55 from Do not buy this knife!! You need to be an engineer to get it back together again, and the thing still didn't work right. It's in the garbage can after 1st blade change.